I love coffee frappuccino's from Starbucks, I don't really drink a lot of coffee, not even one a day but when I do in the summer I do love a good coffee frappe! 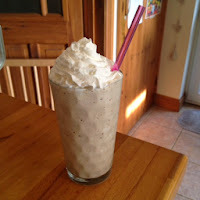 Can you remember the Nescafe Frappe's from the 90's? We used to make them when I was in the sixth form, oh how we thought we were so sophisticated! 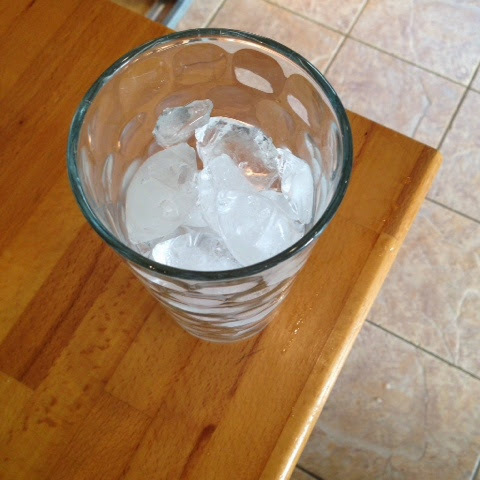 Take your serving glass and fill it 3/4 full of ice. Make a shot of espresso to taste. 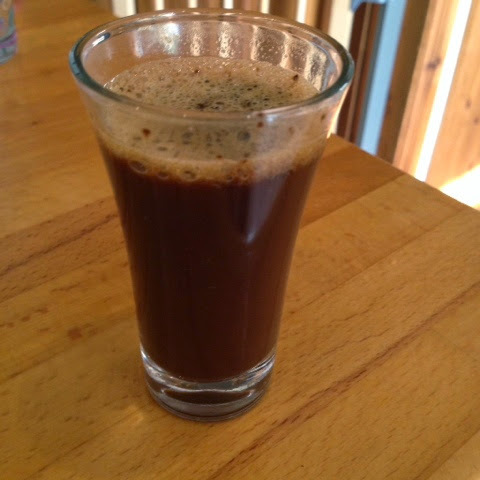 If you don't drink espresso, you could use 1 tsp of good quality instant coffee (I use kenco millicano) in a small cup or shot glass. 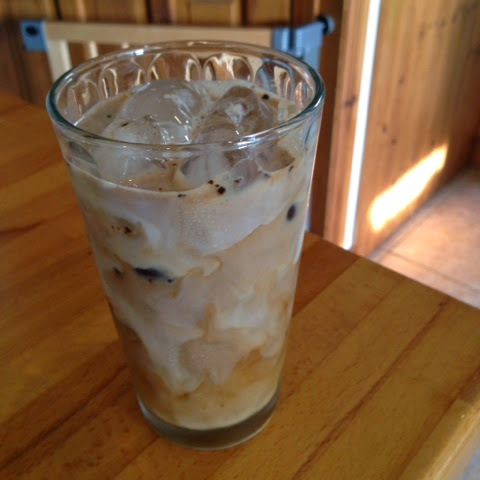 Pour the 'espresso' on top of the ice, and top up with milk. 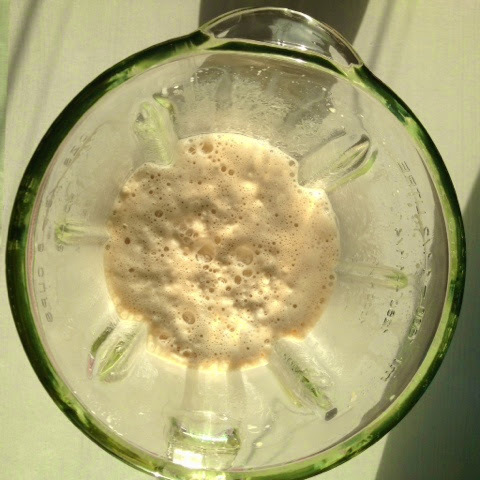 Pour the ice, espresso and milk into a blender and blend until smooth. You'll know when it's ready, because the sound changes when there are no more ice cubes to crush! 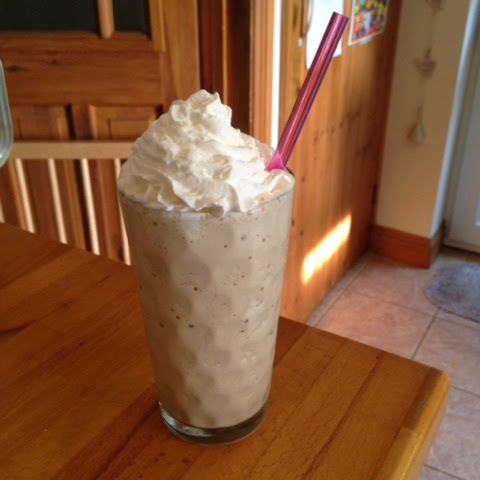 Pour back into your glass and top with squirty cream.